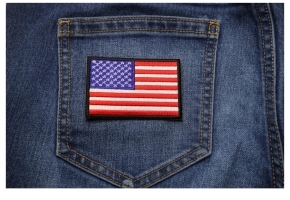 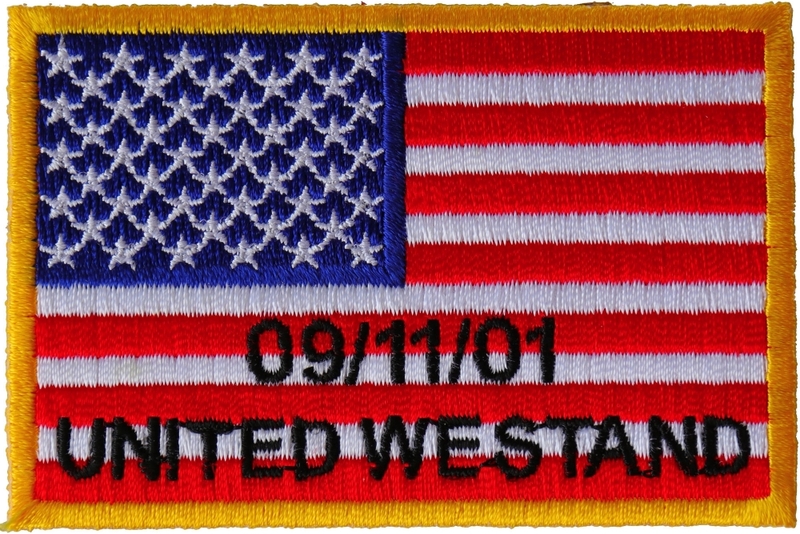 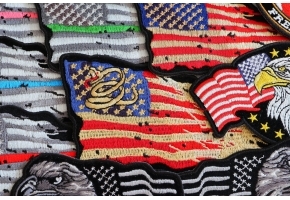 A small American flag patch with United We Stand 9-11-01 embroidered on it. 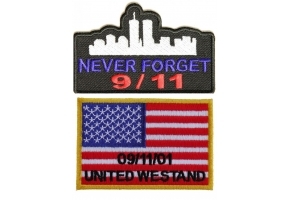 In memory of those who died in the terror attacks that took place here on American soil on that dark day of September 11 2001. 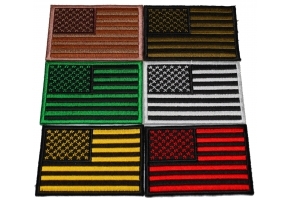 The American flag is fully embroidered with yellow borders. 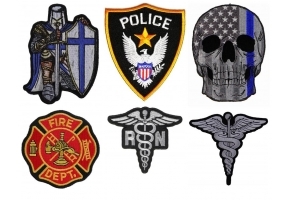 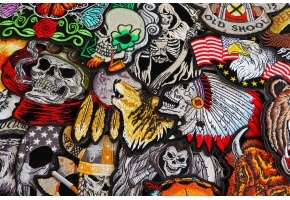 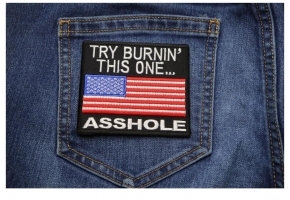 You can sew or iron on the patch. 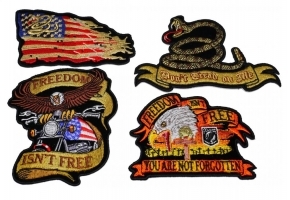 Somethings should never be forgotten.